We invite you to join us this Season of Advent and Christmas as we prepare for and celebrate the birth of our Lord. *What Are My Mass Obligations? This year Sunday, December 24 is both the Fourth Sunday of Advent and Christmas Eve. Catholics have a Mass Obligation for both the last Sunday of Advent and the Solemnity of Christmas. Combining these two obligations into one Mass is not permitted. Masses celebrating the Fourth Sunday of Advent will be offered on Saturday, December 23 at 5:00 PM and Sunday, December 24 at 7:30 AM, 9:30 AM and 11:30 AM. Attending one of these Masses will fulfill the obligation for the Fourth Sunday of Advent. 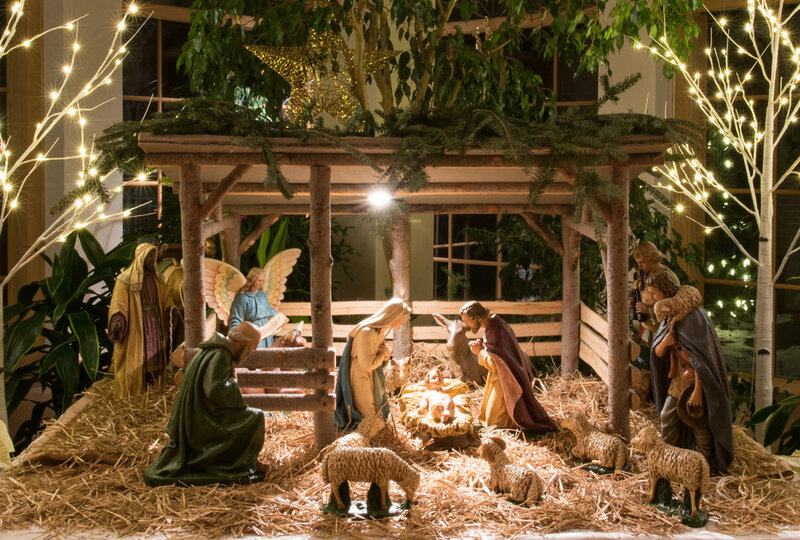 Masses celebrating the Solemnity of Christmas will be offered on Sunday, December 24 (Christmas Eve) at 4:00 PM, with Masses both in the Church and Gym, as well as 6:00 PM and 10:00 PM in the Church. Masses on Monday, December 25 (Christmas Day) will be offered at 7:30 AM, 9:30 AM and 11:30 AM. Attending Mass on Christmas Eve at 4:00 PM or later or Christmas Day fulfills your obligation for the Solemnity of Christmas.